Competition is tough, and not all WildTracks kittens can become our best show cats. So, we periodically make some of our adorable kittens available for adoption into homes. 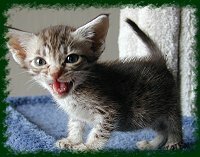 Kittens are all in the best of health, have all their shots, and are usually already spayed or neutered. 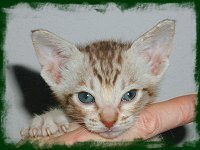 Kittens are kept in our home until they are four months old, to ensure good physical and social health. Kittens socialize by playing with other kittens and with people, and we want all our kittens to be the friendliest and most playful! So what's the difference between a top "show" kitten and a "pet"? Usually, not much! 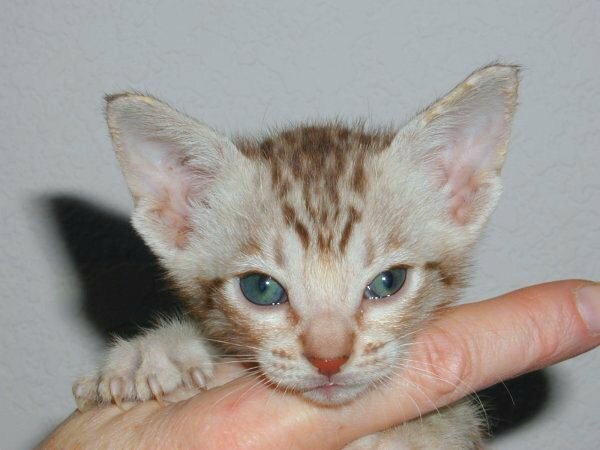 The difference between a successful show kitten and one that is not often a winner is sometimes just a few joined spots, a muzzle that is not quite square enough, or ears that are not set at quite the perfect angle according to the specified Ocicat standards. Most people would not even notice these differences. 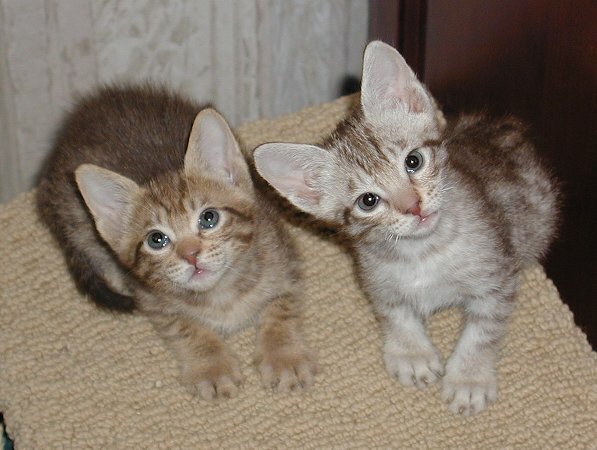 They all still retain the wild looks, wonderful personality, playfulness, and build of the Ocicat family. Though most are spotted, there may sometimes be solid Ocicats with subtle spots very similar to the look of clouded leopards. These "solids", as well as "classics" (though quite beautiful), cannot be shown in competition. So, if you are ready to adopt one of these wonderful sassy little guys or gals, contact us to see what might be available, and when! 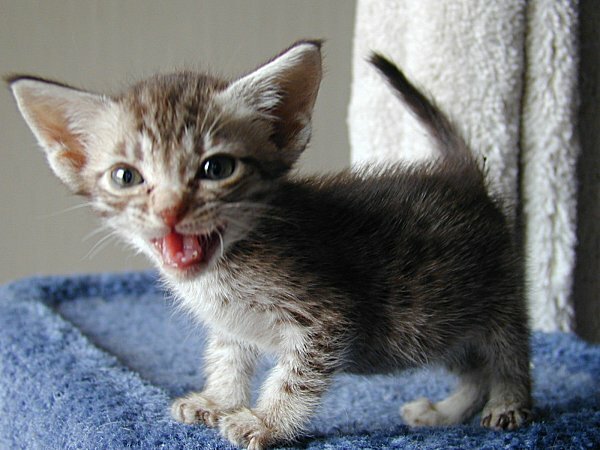 If you may not be ready for an active and playful kitten, you might consider an adult Ocicat. After showing and breeding, we occasionally retire an adult show cat. These cats are still playful, though perhaps with less vigor than a kitten. Many love to sit in your lap, and all retain the health and personality that distinguishes the Ocicat. Contact us for availability. Read the text of our standard pet contract here.